I'd like to take this opportunity to thank all readers of this blog for visiting over the years, as my stat counter has now just passed half a million views. That's an astounding number and one I never even thought about reaching - when I launched this blog in February 2011 I received just five views in the first month. My record number of views in one month is now 61,457, achieved in June this year. I know not all these views come from fans, some people probably accidentally clicked on the blog or came on here to visit just once, but thanks none-the-less. However, now that the landmark number has been achieved and for reasons I shall not go into I have decided to bring Wacky Comics to a close. This is something I've been thinking about over the past few weeks and had decided to do it when the big number was reached. Again, I'd like to thank all my readers - especially the 57 of you who subscribed. This blog became so much bigger than I ever expected it to, now with 1,392 comments and 563 blog posts (this one included), and I know big names in comics such as Leo Baxendale, Euan Kerr, Jim Petrie, Tom Paterson and others have all visited along the way. I've also had the honour of talking with some fantastic and highly knowledgeable comic fans. It's been great having discussions with everybody and I'll probably still occasionally visit the Comics UK forum in the future. Hopefully you've learnt something about comics and had some fun reading them here over the past three and a half years. 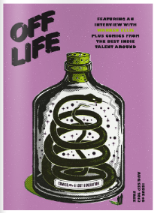 I've certainly learnt a lot from writing it and it's all been good fun. I enjoyed creating The Atomic Comic with Harry Rickard in 2013 and in it I wrote an article about the history of comics. I wasn't too pleased with that so I went back to the start and wrote a much more in-depth history that took me 11 months to research and write. That document now sits in my computer - maybe I'll do something with it someday. 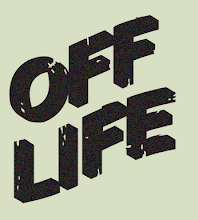 Now I'd like to end this blog where it began way back, or so it seems, in 2011. 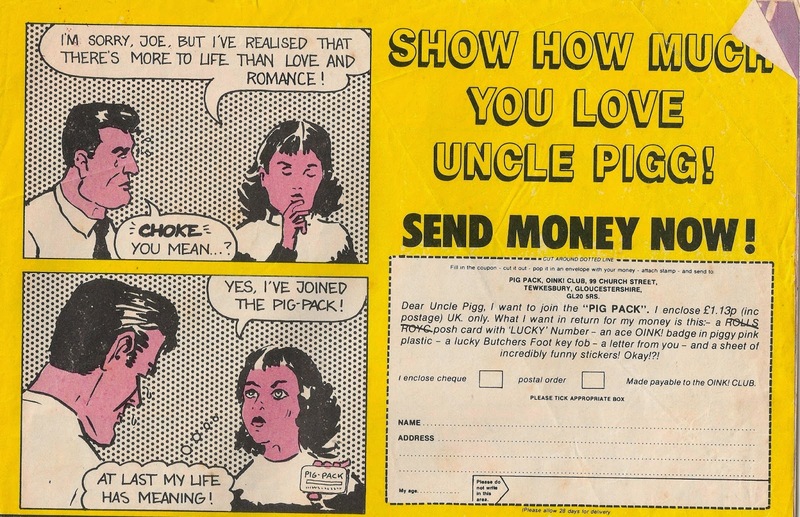 The very first comic I ever covered was the 21st issue of Oink. I thought I'd show my favourite strip from the issue and although it's hard to choose I settled with this half-page Tom Thug strip, illustrated by Lew Stringer. And there you have it. 500,000 views, 1,392 comments, 883 tags, 563 posts and 57 followers. 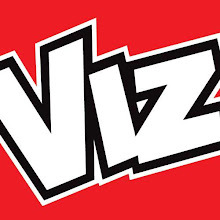 Wacky Comics - 12th February 2011 - 12th September 2014. I won't be surprised if you haven't heard of this comic before. 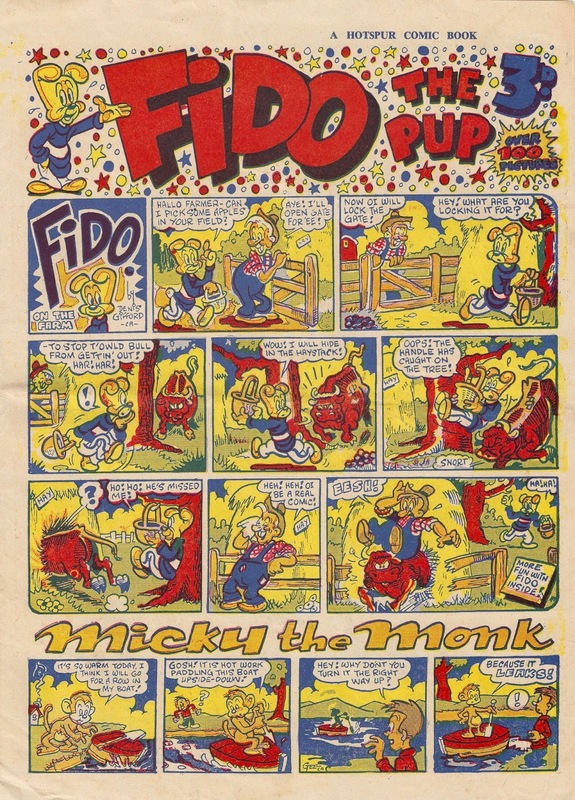 Fido was a short-lived comic from 1950 published by Hotspur Publishing Co (as you can see above, they wrote 'A Hotspur Comic Book' on the front cover). 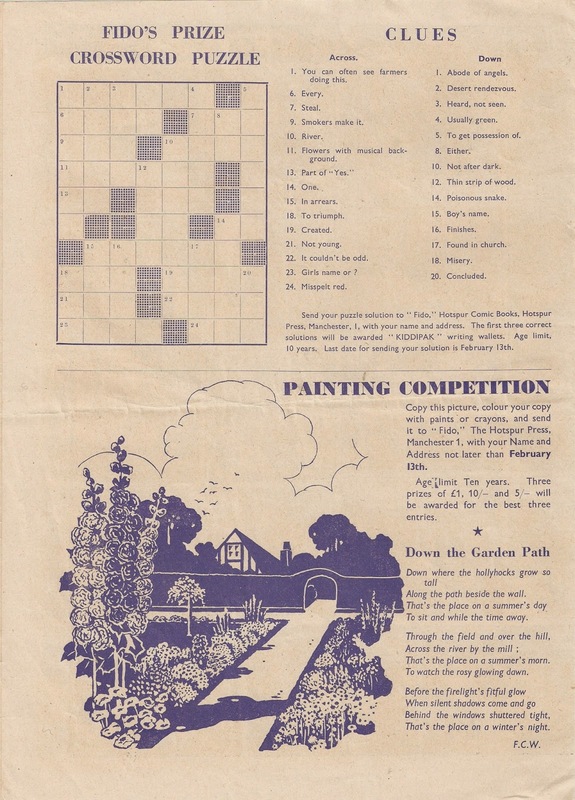 Just four issues were produced and each had a different title. The first issue, the one I'll be looking at today, was entitled 'Fido the Pup'. 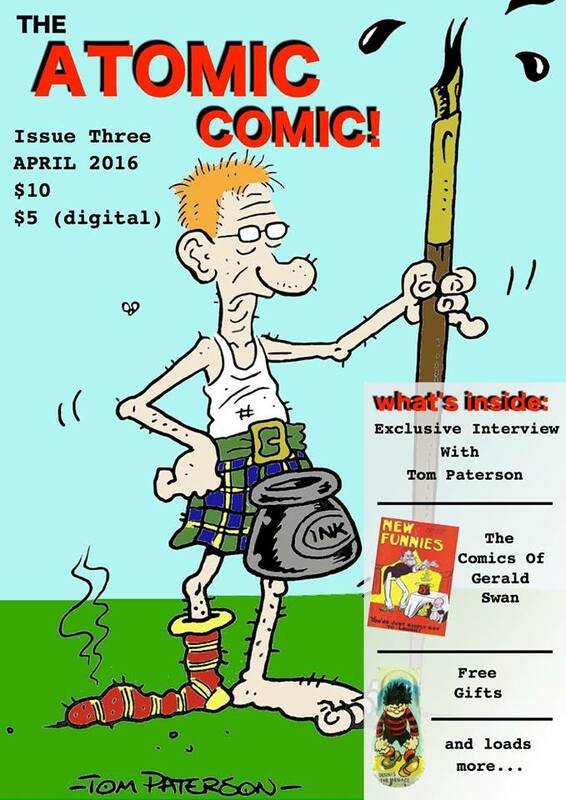 Issue two is known as 'Fido's Fun', #3 as 'Fido at the Fair' and #4 as 'Fido at the Seaside'. Each issue cost 3D for eight pages. The front and back covers were in full colour, as was the centre spread. Everything else was printed with blue ink. It was a lot smaller than I was expecting - I thought it had big A3 covers but instead it's very small - measuring 8" x 11". 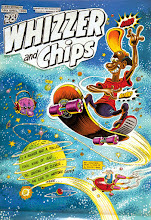 The front cover features, obviously, Fido himself, as well as a Micky the Monk short at the bottom. Denis Gifford illustrates both. 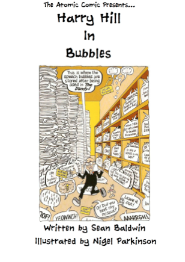 This comic is aimed at a younger audience to titles such as The Beano. The Beano has an audience of 8 - 12 year olds however Fido had the upper limit set at 10 years, as the age limits on the competitions confirm. Not only did the lucky pup have the comic named after him but had no less than four strips, one text story and also writes a short letter to the readers on page three. 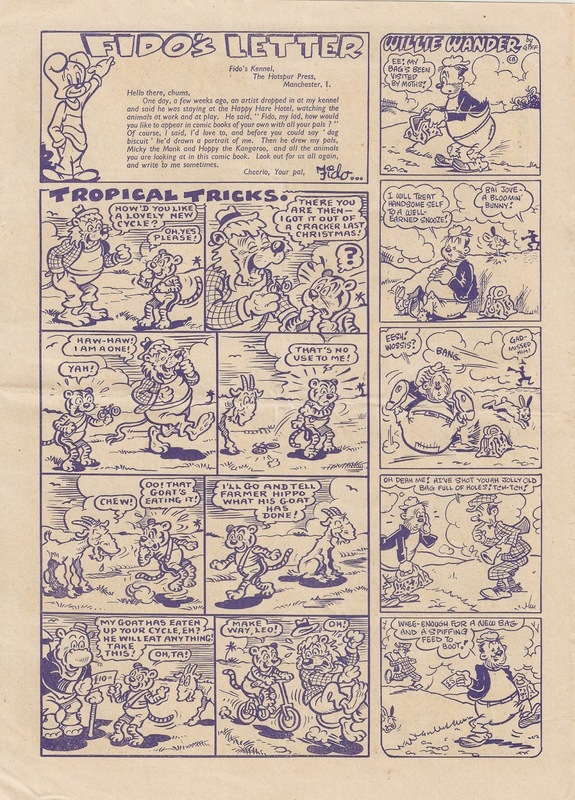 Also on the page are Tropical Tricks by Harry Banger and Willie Wander, another strip by Gifford. The centre spread is very bright but the number of colours used is very limited. Apart from another Fido strip (again illustrated by Gifford) this page also features Alleykat, Giddygoat and Bunny Boys, all by Wally Robertson. I'll wrap up this post with a half-page Polar Bear and Flippy strip, illustrated by Harry Banger (pronounced Bainjer). Banger is probably best remembered for his work on Gerald G. Swan's comics - I'd say Stoogie was his most famous character, who appeared on the cover of Coloured Slick Fun.